It is December 2003, and the holidays are bearing down upon us. This is our 12th holiday season together, and it seems like a celebration is in order---something exciting and very romantic. Well, what could be more romantic than a hydroelectric project in the middle of a desert, where almost no rain ever falls? Fossil Springs gushes forth its mineral-laden water on a high plateau in central Arizona. Its temperature is 72 degrees, and its flow rate is 43 cubic feet per second, winter and summer, year after year. Ten miles away, the Verde River has cut a gorge 1600 feet deep into the plateau. 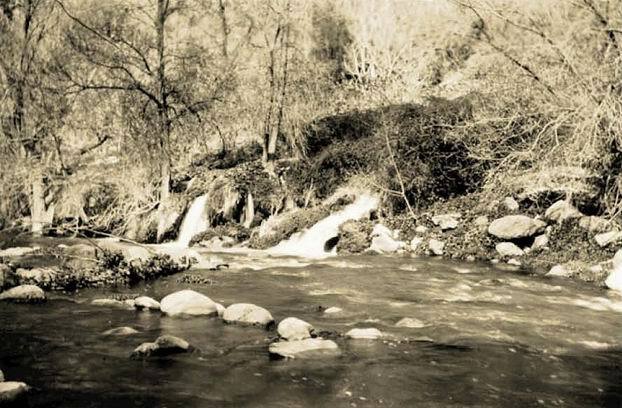 In 1900, rancher Lew Turner filed the first claim to the water for hydroelectric use. In 1903, the Los Angeles Herald reported that Mrs. Iva Tutt of Los Angeles was “engaged in a three million dollar enterprise in Arizona. 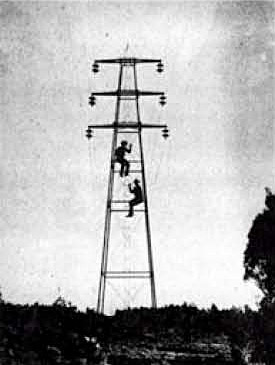 The erection of two electric power plants to supply power exclusively for mining purposes … She contracted for water rights, took out her engineering party, following the transit every step of the way back into the mountains where few men and no woman had ever gone before, to the head of Fossil Creek, returning with all plans formulated for the prosecution of the work.” Electrical Review called it “A Wonderful Water Power”. It was not until 1907, however, that the Arizona Power Company was organized to pursue the development. 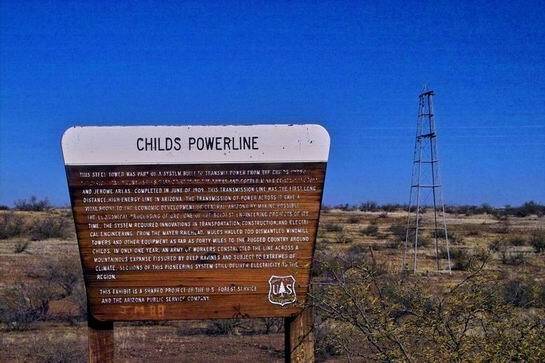 On March 28, 1908, construction began on the first plant at Childs, on the Verde River, which would use 1100 feet of the total 1600 available. A 40-mile wagon road was constructed from Mayer, the nearest railroad station. The project required a water conduit 38,000 ft. in length composed of 10,000 ft. of concrete tunnels, 12,000 ft. of concrete flume, 2200 ft. of wood flume on trestles over gulches, 7500 ft. of steel gravity siphon, a reinforced concrete surge tank 36 ft. high and 30 ft. in diameter, and 4800 ft. of steel penstock pipe, made to hold 1100 ft. of head at its lower end. 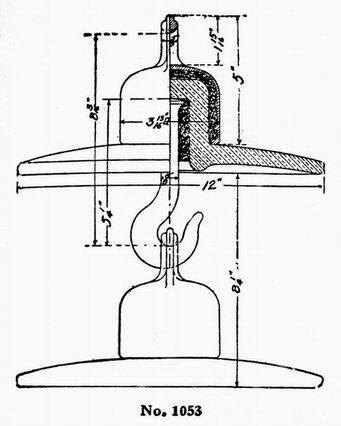 The power plant itself housed three 3000 H.P. impulse-wheel generators, each with its associated transformers and switches. A work force of 600 men backed by 400 mules pulling 150 wagons, completed construction in 12 months. So here we are at the Dugas exit from I-17, driving down the old wagon road. There is a line running along there, but it is made of wood poles! What a bummer! Finally Barb shouts, “There’s a tower.” Sure enough, there next to the wood pole line is a single steel tower, and by the road is a sign to go with it. Carver is muttering some choice unprintable comments about anyone who would tear down a steel tower line and replace it with wood poles. There is hope, however: The sign indicates that some sections of the line are still in service. We’ll have to find out which ones. Driving farther down the wagon road yields nothing except more wood poles. It is probably like every other historic line we have explored: We’ll only find original stuff in the most rugged, remote, inaccessible places. So we head for the mountains.